Worth every second listening to this Book! I've tried many times to finish Complete Sherlock Holmes-56Short stories and 4 novels ,but never did achieve doing so in Paperback format due to its length 1000+pages. 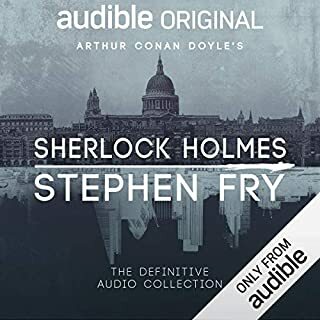 Thanks to Audible ,I was able to finish off what I'm unable to do so for past 5-6 years in 1.5 month (72hrs is really lengthy and longest among titles I've come across in audible but worth the time spent). Yes that's true the narration is remarkable kudos to Stephen Fry who has articulated according to scenes thus making it to glue our ears.